Discussion in 'Made with GameMaker' started by Tony Brice, Dec 26, 2018. 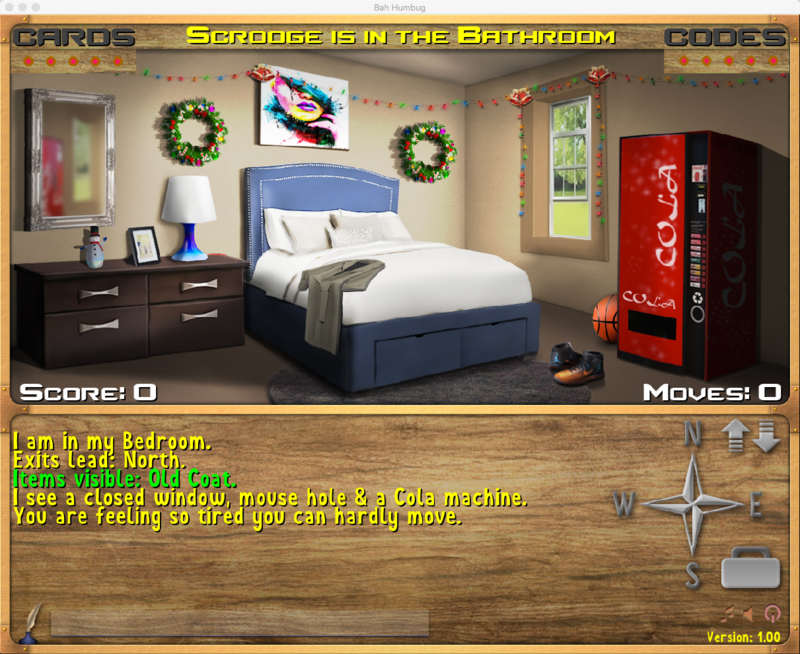 I've finished my latest competition game which was a Xmas themed adventure game. It was developed with GMS 2 and completed in seven weeks. It's the day after your school Xmas party and your parents are away for the weekend. It's a great idea to see if you can find your Xmas presents before they get back because you know they are in dads safe. It's just a matter of finding the five digit code. There's also mums missing Xmas cards to find. Your friends think they are so funny hiding them. Also, while you are searching the house, it might be wise to avoid the ghost of Scrooge who is wandering around. Unless you can find a way to get rid of him? Manage all this, and somehow get your school homework done, before your parents return and you really will have a very, merry Xmas. Good Luck! Bah, Humbug! 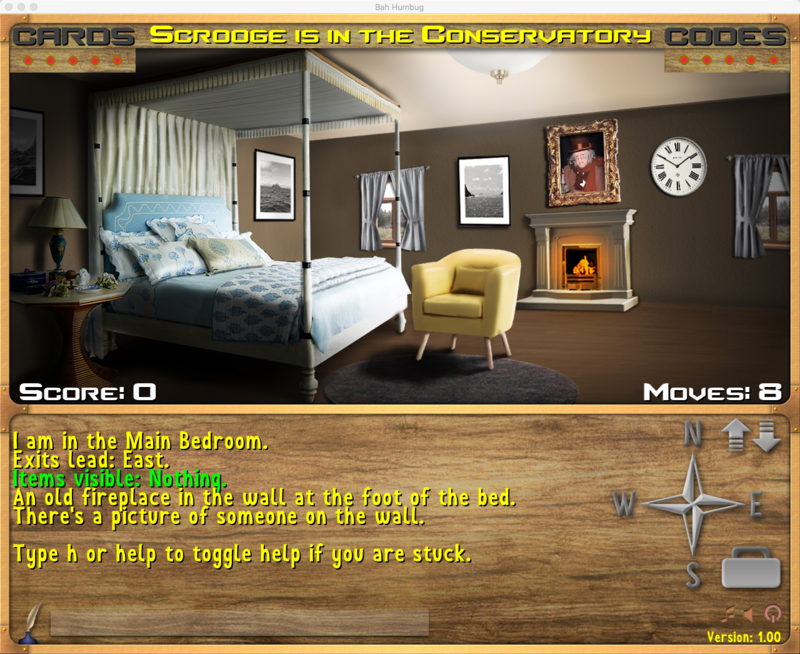 was written for the SyntaxBomb adventure game competition and is available for OSX and Windows. The game was created with GameMaker Studio 2. 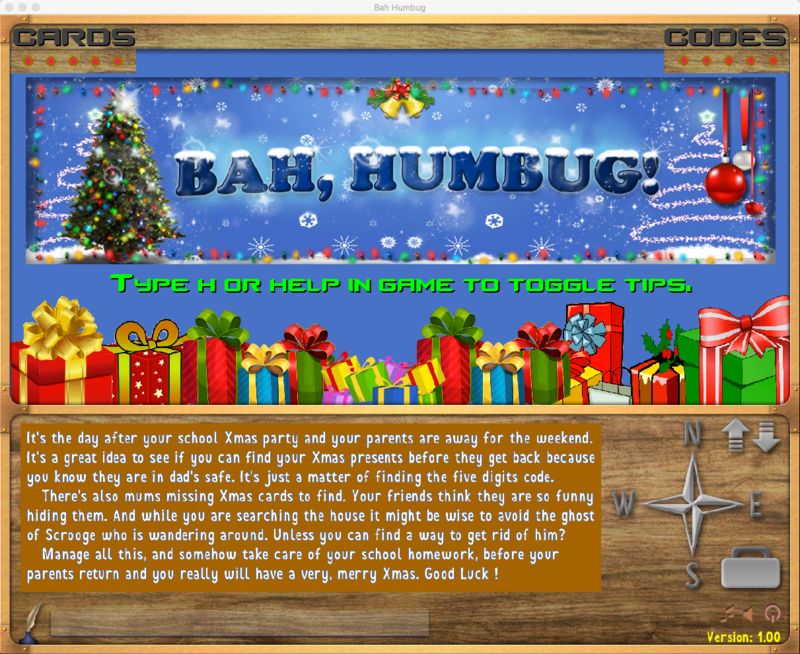 My game won first prize in the Syntax Bomb Xmas adventure competition. Have a go if you're a fan of old school adventures where you actually typed in the commands.